Looking for an opportunity to work from home? Sutherland is currently searching for someone to fill the role of the work at home customer support position. If this is a role you may be interested in, here are the details. Sutherland is a process transformation company which assists businesses in designing processes that can help them perform better. Like any customer support role, you’ll be required to answer calls and educate customers on the product or service they currently have; Access the company databases and provide instructions to customers to determine the root cause of their problem and other related tasks. Looking for more work at home jobs? See our huge work at home directory of more than 200 companies. In-house network and a hard-wired Internet connection capable of continuously supporting outstanding call quality and high-speed response rates. This position is currently available to persons currently residing in the US only. If you currently live outside the US, you can check out these work-from-home jobs which are open globally. 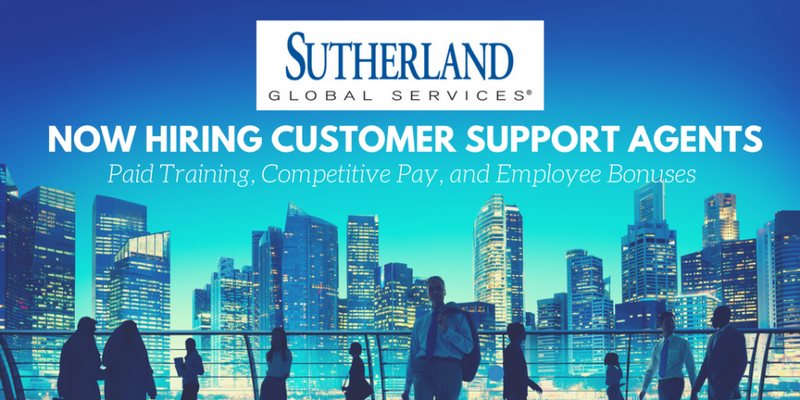 If you think you’re fit for the role with Sutherland Global, you can go ahead and apply here.